Are you struggling with how to properly store flammable liquids in an OSHA approved storage cabinet? The “Occupational Safety and Health Act of 1970” (Public Law 91-596) was passed to ensure workers are not killed or seriously harmed at work. The law requires workspaces to be free of any known danger, including safety from dangerous liquids. The Act outlines the duties of employers and the penalties for failing to address such duties. 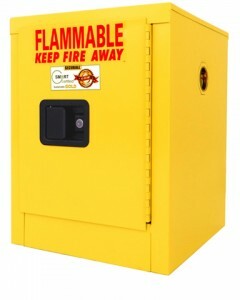 Storage & Safety Cabinets for OSHA Compliance can be complicated, call our expert team at 1-866-867-0306 for assistance. 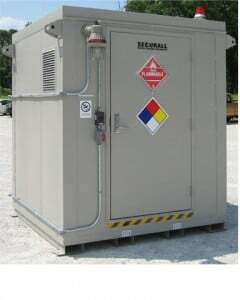 The OSHA, NFPA, and FM too have regulations for storing flammable liquids. A flammable liquid is any liquid with a flash point below 100℉ (37.8℃) or higher, making up 99 percent of the total volume of the mixture. Measuring flash point is important because it is directly related to a liquid’s volatility, and vapor is a key factor in determining fire hazardness. Generally, liquids with low flash points display a rapid rate of flame. Flammable liquids are Class I liquids and are divided into 3 subclasses. Class IA flammables are liquids with a flash point below 73℉ (22.8℃) ; boiling point below 100℉ (37.8℃). Class IB flammables are liquids with a flash point below 73℉ (22.8℃) ; boiling point at or above 100℉ (37.8℃). Class IC flammables are liquids with a flash point at or above 73℉ (22.8℃), but less than 100℉ (37.8℃). Class IIIA combustibles are liquids with a flash point at or above 140℉ (60℃), but less than 200℉ (93℃). This does not include any mixture having components with flash points of 200ºF (93.3ºC) or more with the total volume making up 99 percent or more of the total volume of the mixture. Class IIIB combustibles are liquids with a flash point at or above 200℉ (93℃). As an employer, it is important to be knowledgeable of safety regulations and the best ways to store your flammable liquids. For more information on the Occupational Safety and Health Act of 1970 and OSHA guidelines, visit osha.gov. 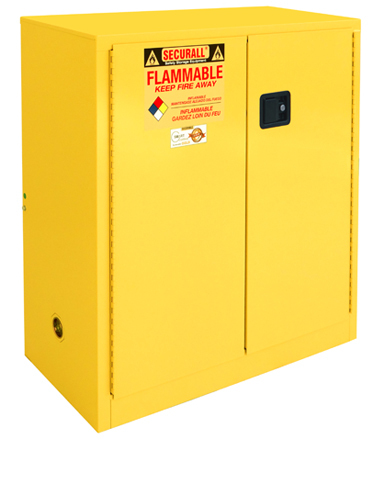 There are number of Securall Safety Storage Cabinets that ensure flammable liquids are organized and stored safely, limiting employee exposure. 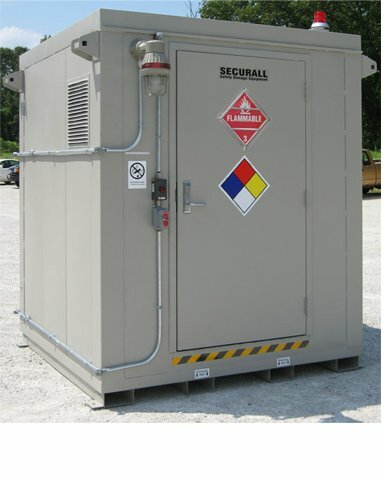 If not stored correctly, hazardous liquids can cause explosion, release of pressure, fire, reactivity, overexposure, or environmental contamination. 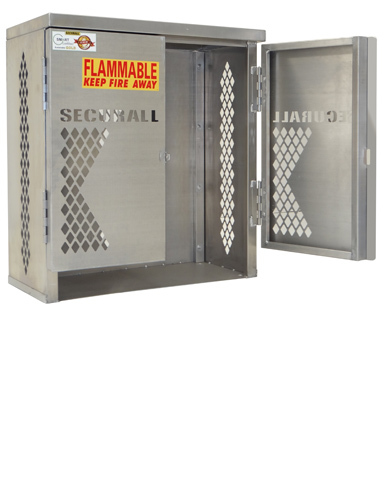 Understanding the NFPA’s Flammable and Combustible Classes helps you properly meet your storage needs, avoiding harm or breaking the law. 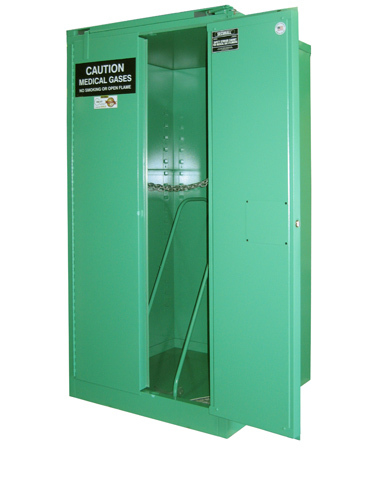 We help clients choose the best storage cabinets at the best prices to meet OSHA compliance, Call Toll Free 1-866-867-0306 today.